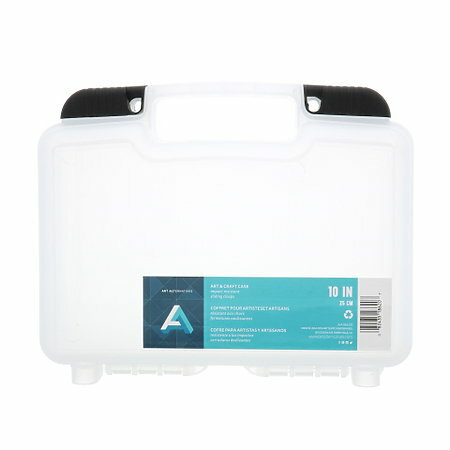 These translucent cases are perfect for securely storing, organizing, and transporting all your drawing, painting and other accessories. The durable clear plastic is impact-resistant and allows for easy visibility of supplies. The molded handle is easy to grip and carry, while the black sliding clasps are lockable and keep everything inside. Made in the USA.